Supergiant Games’ first big hit, Bastion, was a strictly single-player affair . The developer’s upcoming follow-up, Transistor, won’t be able to say the same, creative director Greg Kasavin tells Rock Paper Shotgun. The game won’t just feature the traditional arena deathmatch or co-op gameplay modes, however. Kasavin said Transistor’s gameplay would lend itself to more traditional multiplayer, but it didn’t seem to fit the style of the game. Kasavin also tells RPS multiplayer was considered and tested for Bastion, but noted that the co-operative gameplay interfered with the narration-based story, which was one of the most successful and most widely-praised aspects of the game when it dropped in 2011, so it was cut before the game released. Kasavin said a similarly narrative-based story will be important to Transistor’s atmosphere, which would mean adding a second player into the mix “would come at a heavy cost.” Still, the developer wanted the player to have a sense that they were not alone. Transistor is developer Supergiant’s follow-up to its 2011 hit, Bastion. 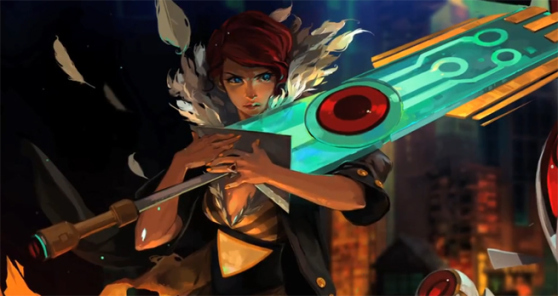 The game is set in a futuristic cyber-punk city and follows protagonist Red, a famous singer who finds herself in possession of a mysterious, sword-like transistor after an attack. The game’s viewpoint and combat will be similar to that of Bastion, although turn-based battle elements will also be incorporated. The game won’t likely release before next year and the developer has yet to announce what platforms on which the game will launch. What do you think of Transistor’s multiplayer elements? Do you want to see a full-on co-op or deathmatch mode? Let us know in the comments.